TOBY – French Riviera Spring Events in Style! Whether you’re planning a corporate event, want to see the Monaco Grand Prix 2014 without the crowds or just a vacation in Italy TOBY is the perfect yacht for you. 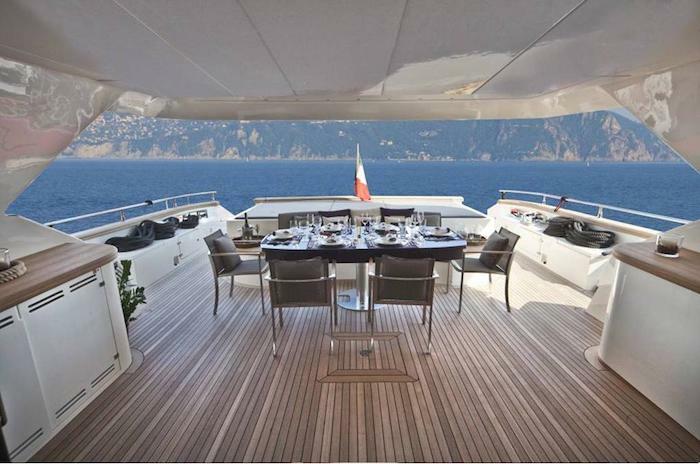 Despite being booked for the MIPIM this March in Cannes, she is available for all other events this spring on the French Riviera. To add to this, TOBY has secured a prime berth for the Monaco Grand Prix meaning you can enjoy cocktails from her spacious flybridge whilst you watch all the action. Unlike many boats, TOBY can host up to 40 guests at dock whilst still maintaining that cool, sleek and sporty style. 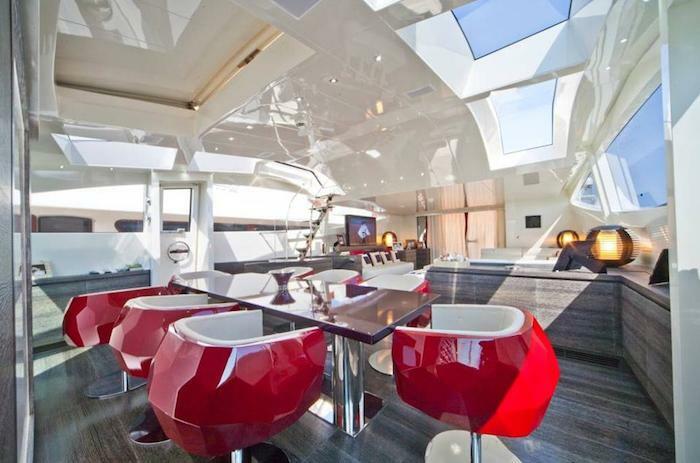 Her interior is modern and luxurious, with splashes of colour throughout. 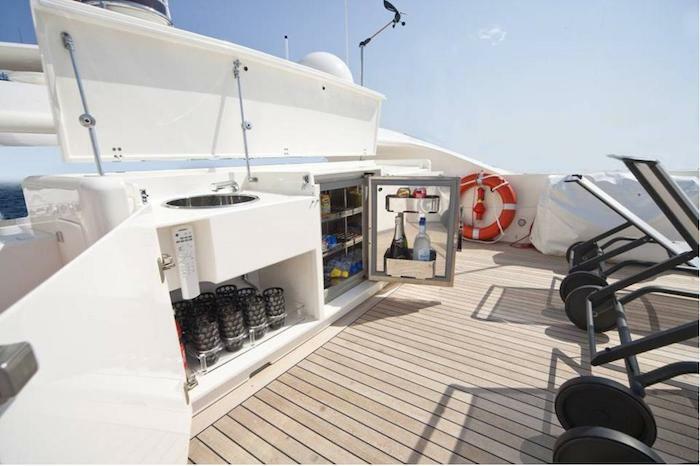 For your holidays this summer she’s available in Naples with an array of water toys and 5 spacious cabins. 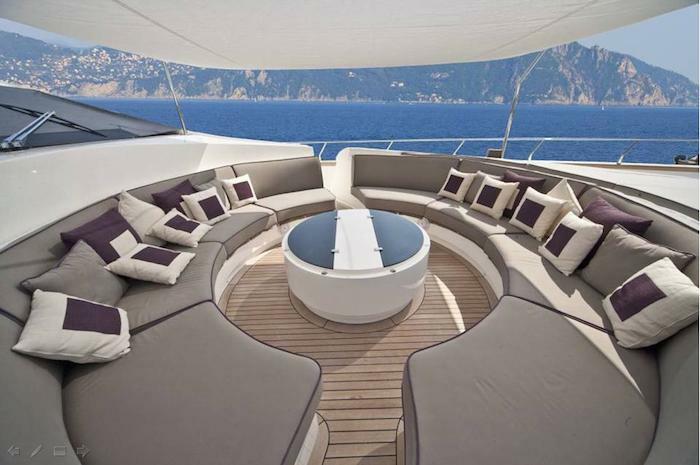 With all this on offer, TOBY is available for charters starting in Italy inclusive of VAT! Contact us today for more information on TOBY, event chartering or to book your summer sailing vacations.